Happy New Year! I was recently reminded that I have failed to post new content on this site in a while, and so with the new year and with new pictures and adventures I thought we would start it off right. This year I will continue to document and present some of Charm City’s best local fair but I will also be starting to include our own restaurants that characterize and bring culinary life to Baltimore, as well as my own everyday adventures. Jewish immigrants have been a part of this country’s history as early as the 1700’s, notably in the Northeast cities like Boston, New York and even Baltimore. While Baltimore City does not have as strong nor unique Jewish community identity as it’s East Coast counterparts the legacy and culture of that tradition remains. While much smaller and less known than it once was, Corned Beef Row is a small stretch of Lombard Street in Jonestown that still houses three of the city’s most notable deli’s specializing in corned beef sandwiches. 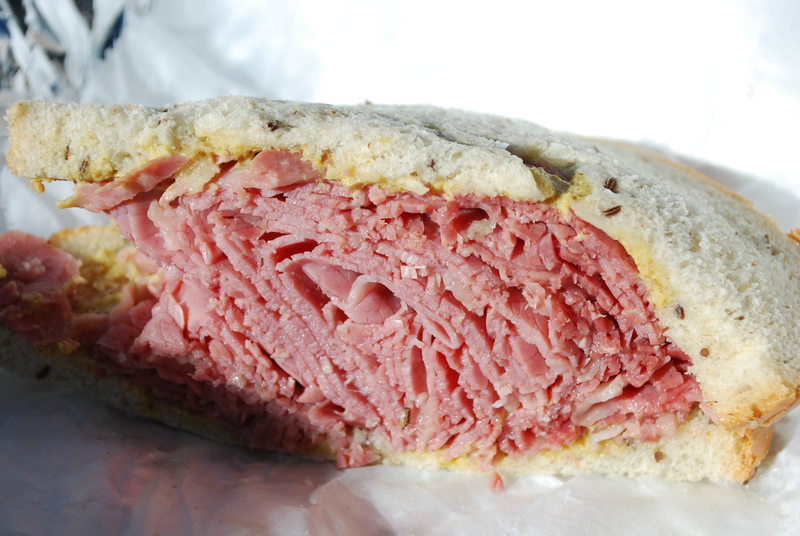 I acquired a taste for corned beef I believe through my Papa, a lifelong Baltimorean of strong Irish heritage that would often order the sandwich as it is most commonly eaten, corned beef on rye with yellow mustard. 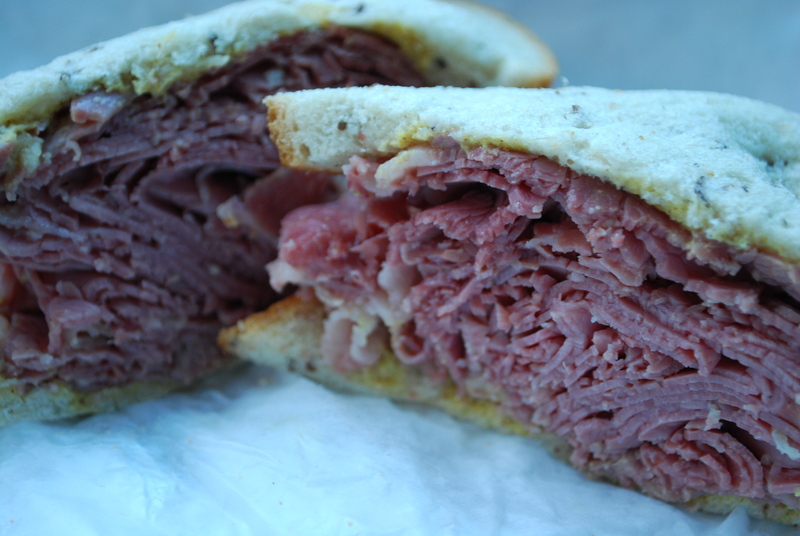 I craved it even more so when my wife and I lived in Southern California, to my dismay one day as I craved corned beef that deli’s that even carry it are few and far between (unlike the extremely common Pastrami and Pastrami Dip behemoths). 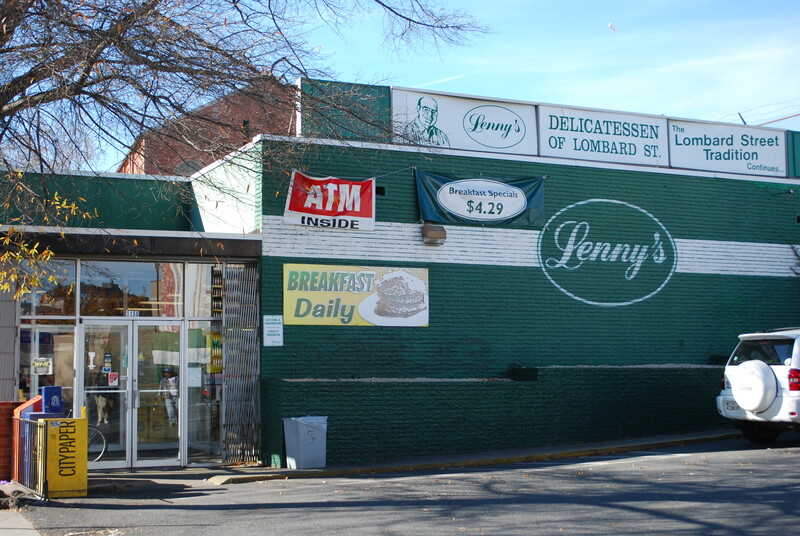 Lenny’s Deli and Attman’s Delicatessen have one of the oldest and recognized food rivalries in Baltimore, and so it seemed fitting that these two would be the first I tried. Let me say this first, both places serve incredibly tender and juicy corned beef. While their “overstuffed” specialties don’t compare to some of the extreme versions in both New York and Los Angeles, they are more than filling and undisputedly delicious. I ordered from both locations exactly as prescribed on a sign inside Attman’s. Corned beef, rye, mustard, period. 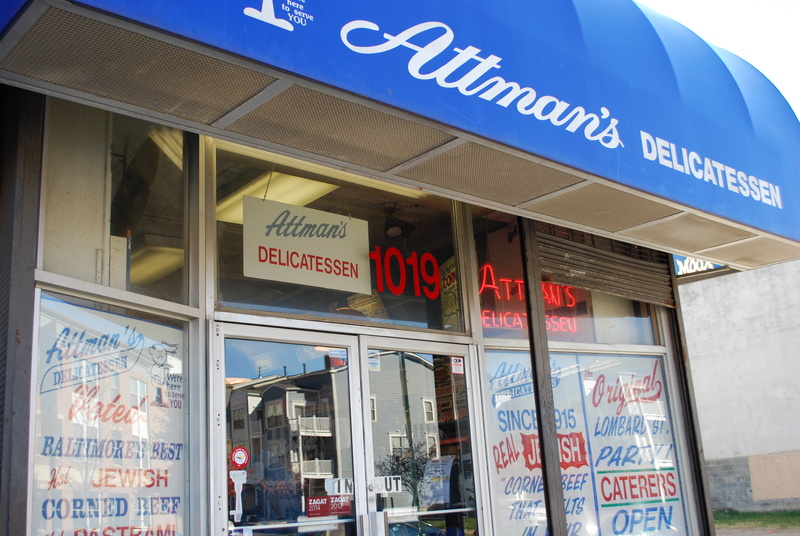 Attman’s corned beef sandwiches come in multiple versions, some with pastrami or turkey or other combinations. Cole slaw, Swiss cheese, Russian dressing and a slew of other additions are also possible. The sandwich was thick, served on soft rye slices with a firmer crust to balance out the textures. 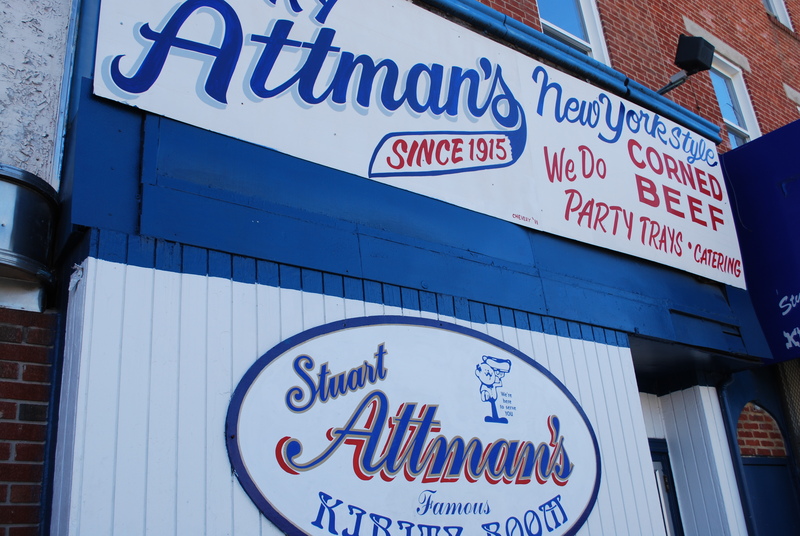 The line at Attman’s is often long, and the restaurant is noisy and busy so expect a crowded commotion inside. Some seating is also available. 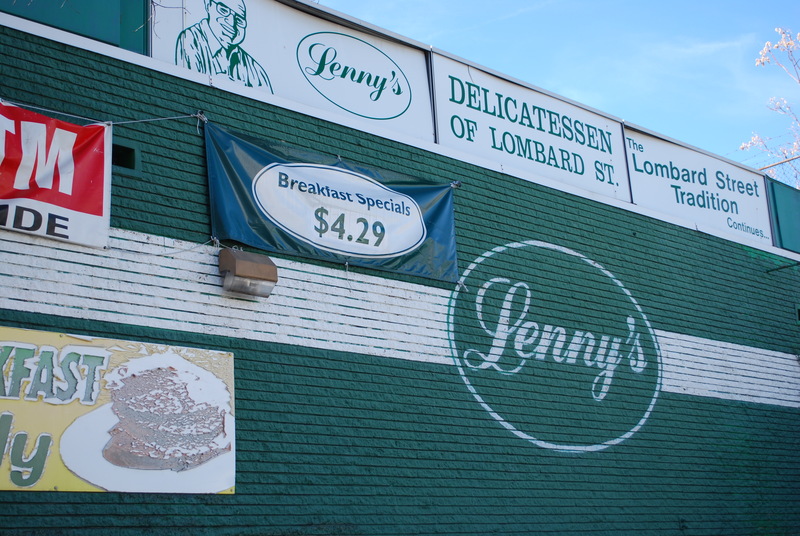 Lenny’s has more of a cafeteria appearance, with the first notable difference being that you can order “lean” corned beef or “regular”. I choose the regular. That sandwich was a little fattier, but in my opinion slightly more flavorful, with a softer doughier rye that I also prefer. And while I did not get them, there were many other options to choose from as you made your way through the line to the registers. 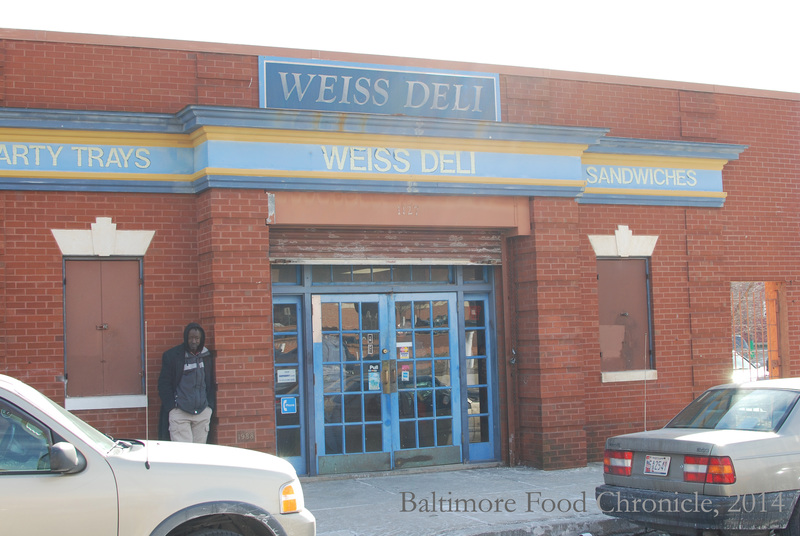 Recently I also had the privilege to visit Weiss Deli, the last of the three main deli’s on the Row. The line was long and slow, but after seeing the staff carefully cut and prepare everyone’s sandwiches (and bologne wrapped hot dogs) and once I took my first bite I realized it was completely worth it. 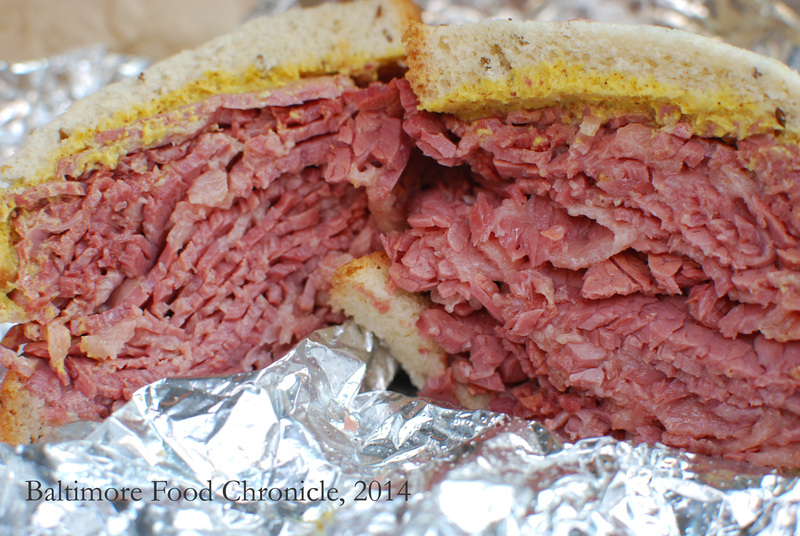 The corned beef was juicy and flavorful, and larger (and cheaper) than both Attman’s and Lenny’s. I truly love those euphoric moments when you taste something awesome for the first time. 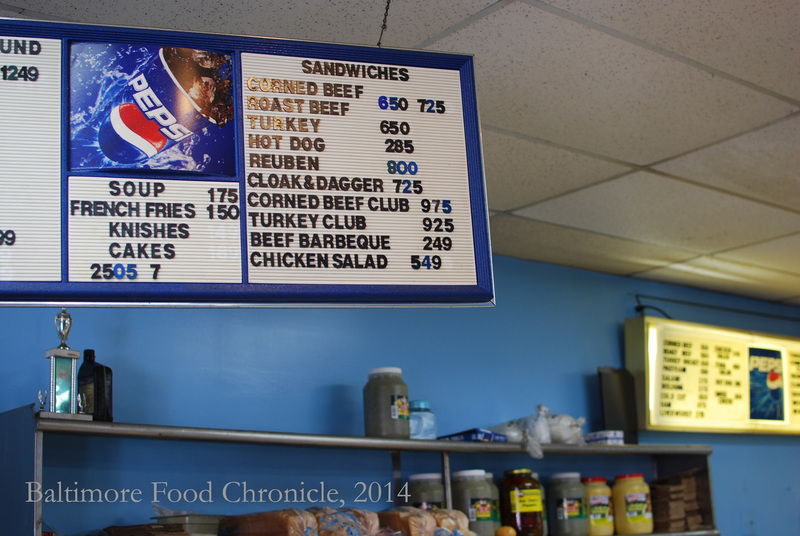 You can’t go wrong with any of the selections on Corned Beef Row. Each of them have their specialties, sides and unique offerings.